This video shows you the steps to install VMware vSphere Hypervisor ESXi 6.7U2 on Windows 10 PC/Laptop using VMware Workstation 14/15 Pro. Step 1: If you have not done VMware Workstation installation on Windows before, please refer to the following video or article. Step 2: After installing VM Workstation, download the ISO file from the following link. Step 3: After downloading the vSphere ISO, open Workstation. Step 4: We recommend you to add 4 processors, 8 GB of RAM and a minimum 80 GB of hard disk space to vSphere 6.7U2. 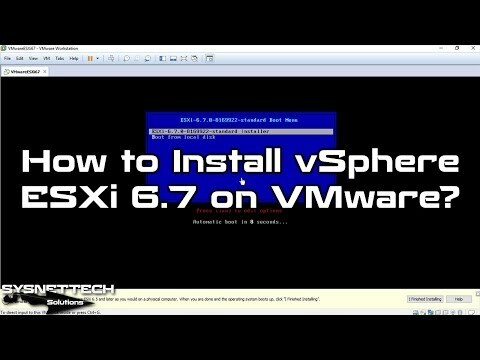 Step 5: Watch the entire video to install the name vSphere in the virtual machine on VM Workstation program.